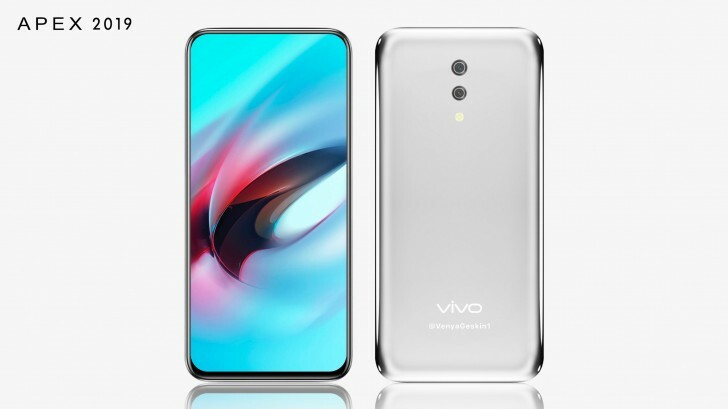 vivo's Apex 2019 smartphone is still somewhat of a mystery, despite it being expected to become official in two days time on January 24. Vivo started a campaign where it let people touch the phone, but not see it and they described it as metal soap. So the phone is kept well under wraps. But today we get our first glimpse at the nearly bezel-less and fully button-less vivo Apex 2019. Thanks to a concept image, created by Ben Geskin and through the phone's first promo video, uploaded to Weibo. There are clearly no buttons on the vivo Apex 2019 and the image above and the video below doesn't shed any light on where the selfie camera could be.